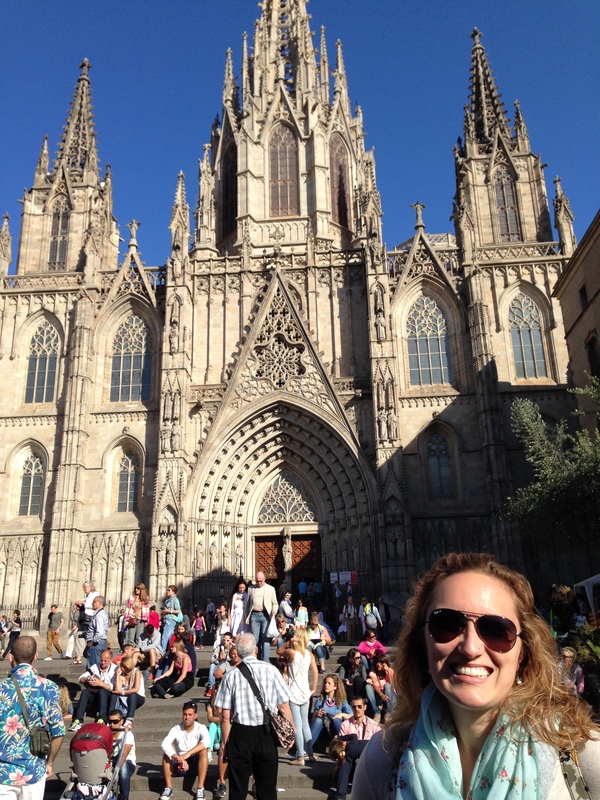 Our final stop was Barcelona, Spain. This was my first visit to this beautiful city, and I loved every minute of it. We were there three days, and I tried to soak up as much of this wonderful place as possible during that time. One afternoon I went for a run, but I decided against bringing my phone/camera because I wanted to experience the moment without viewing it through my camera/phone lens. In hindsight maybe I should’ve brought my phone if only for navigation purposes. I may have gotten a little turned around during my 4-miler, but one great thing about Barcelona is that it rests on a mountainside next to the ocean. I knew my hotel was uphill and away from the ocean, so that greatly narrowed down my possible running paths once I tried to find my way back home. 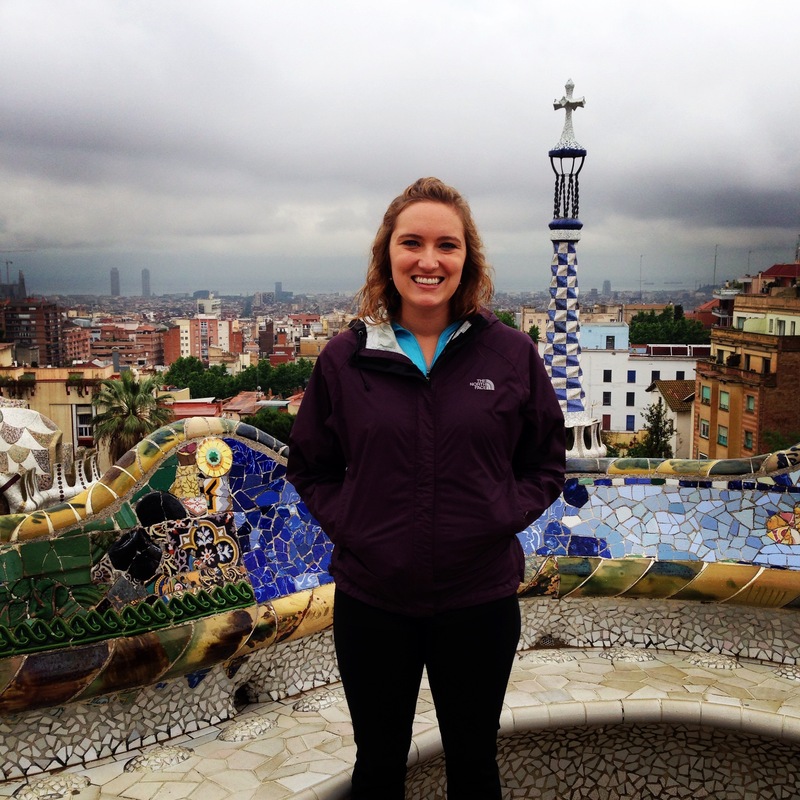 I loved getting a little lost though, because it’s one of my favorite memories from Barcelona. There’s something thrilling about discovering a new place on foot and without a map…relying on yourself (for good or bad!) to get back where you started. Fun Facts: Barcelona is an important cultural icon in Europe, and among its many attributes are the works of Antoni Gaudí. As a Spanish Catalan architect, Gaudí is best known for his Catalan Modernism. His works include the Park Güell and the Sagrada Família. To help you understand his significance let me just say this – seven of his works were declared World Heritage Sites by UNESCO. Yes, he’s that amazing. Our first day in Barcelona we were blessed with terrific weather. This was wonderful since we had a two-hour walking tour of the city scheduled with two incredibly knowledgeable tour guides. Major props to them for their expertise! The Cathedral of the Holy Cross and Saint Eulalia is the Gothic cathedral and seat of the Archbishop of Barcelona, Spain. It’s so beautiful, I can hardly stand it! The next day it drizzled in the morning and was overcast until about 11 am. But it didn’t dampen our spirits any! Admiring the view from the Park Guell. It was a little overcast, but we were just glad it was no longer raining! 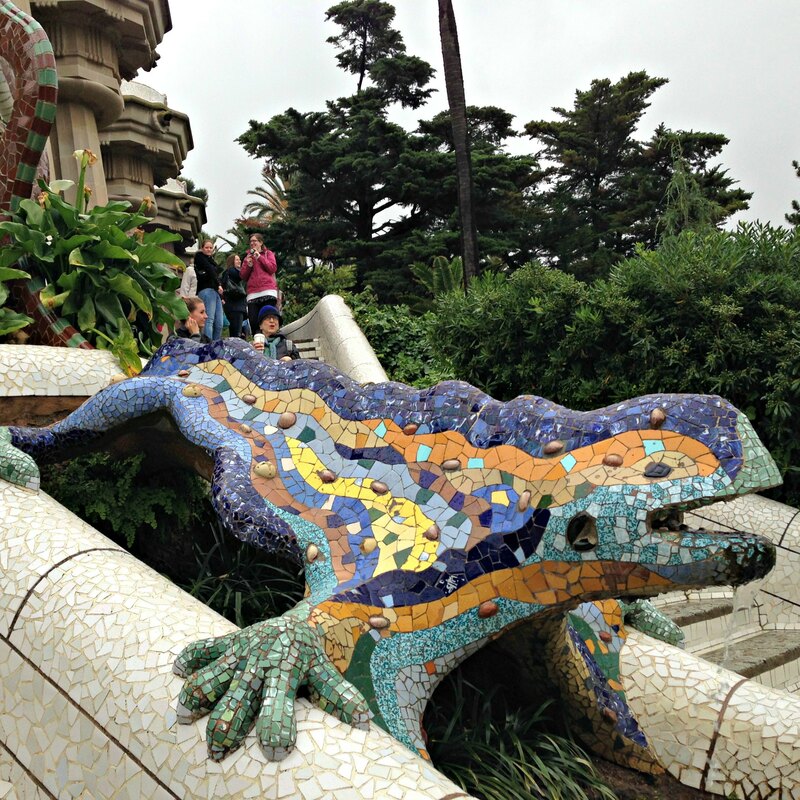 Gaudí’s multicolored mosaic salamander, popularly known as “el drac” (the dragon) in the Park Guell. I’m in love with Gaudi’s mosaic masterpieces! 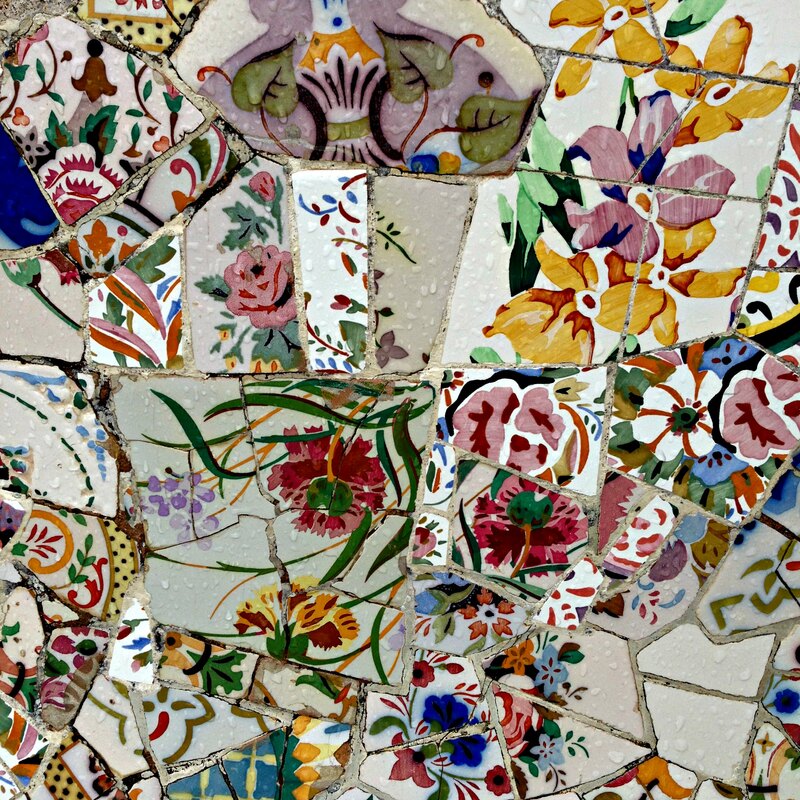 Here’s a great example of Trencadís, a type of mosaic used in Catalan modernism, created from broken tile shards. The mosaic is done using broken pieces of ceramic, like tiles and dinnerware. What a great re-purposing of materials! Our final day in Barcelona we had another picture-perfect blue sky day. What more could we ask for?! 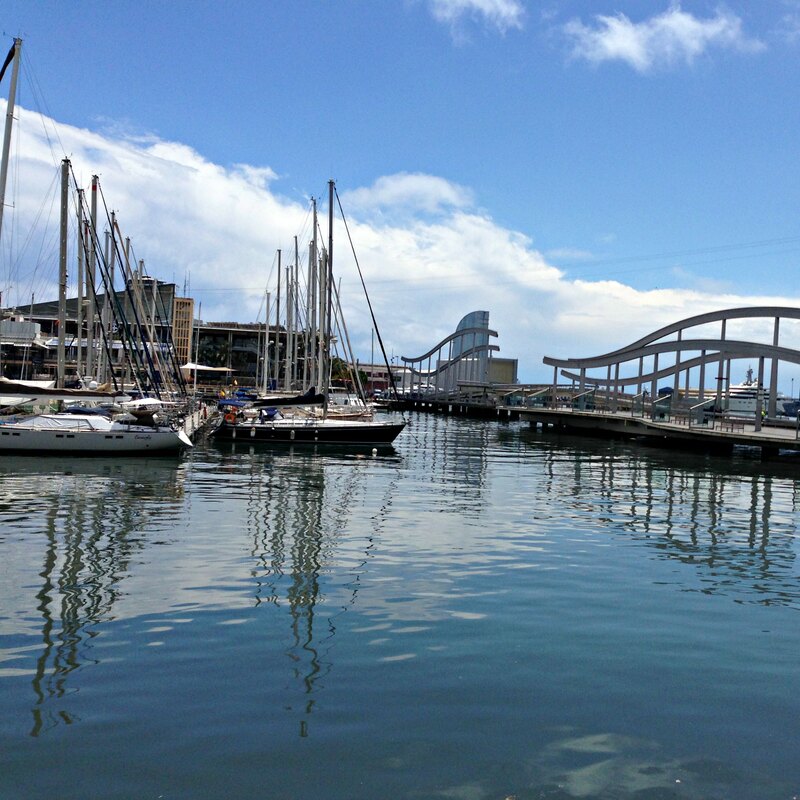 The port of Barcelona. What a gorgeous view on our way to our afternoon meal. 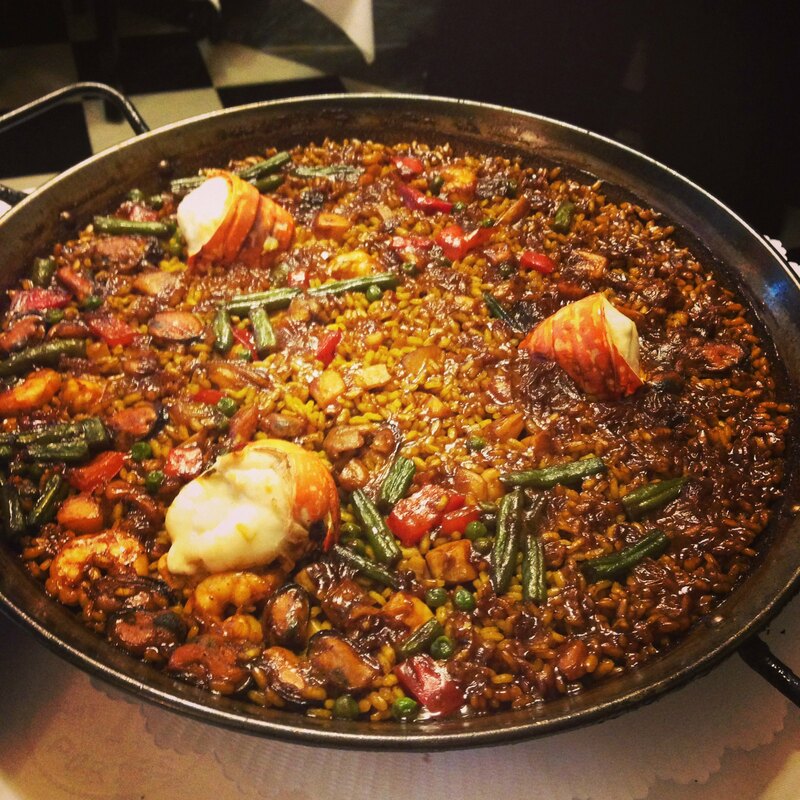 Speaking of lunch, this seafood paella was to die for. Three of us split this dish, but I think I could’ve finished it on my own! And we ended the day at the Sagrada Família. Talk about ending on a high note! The Sagrada Família by Gaudi. It’s still under construction, and the fee you pay to tour the church pays for further construction. It’s so amazing and breathtaking already, but I can’t wait to see it completed in 2026! I’ve been back in Aix since Wednesday, and it’s been nice to be settled and in one place after so much time on the road. I loved our travels, but there’s something wonderful about unpacking your suitcase and reliable WiFi access! Next up for my traveling posts, I’ll detail the time I tried to go for a run in the local park and accidentally took a 40 minute nap after just one mile…true story! I love the photos, especially The Sagrada Família. Thanks for sharing! Thank you! So glad you’re enjoying the photos 🙂 The Sagrada Familia was so breathtaking! Wow, absolutely breathtaking photos!! So, so gorgeous!!! Thanks, Kristin! I love sharing these photos with you and everyone in the blogger-sphere!! We love looking at them!! XOXO! 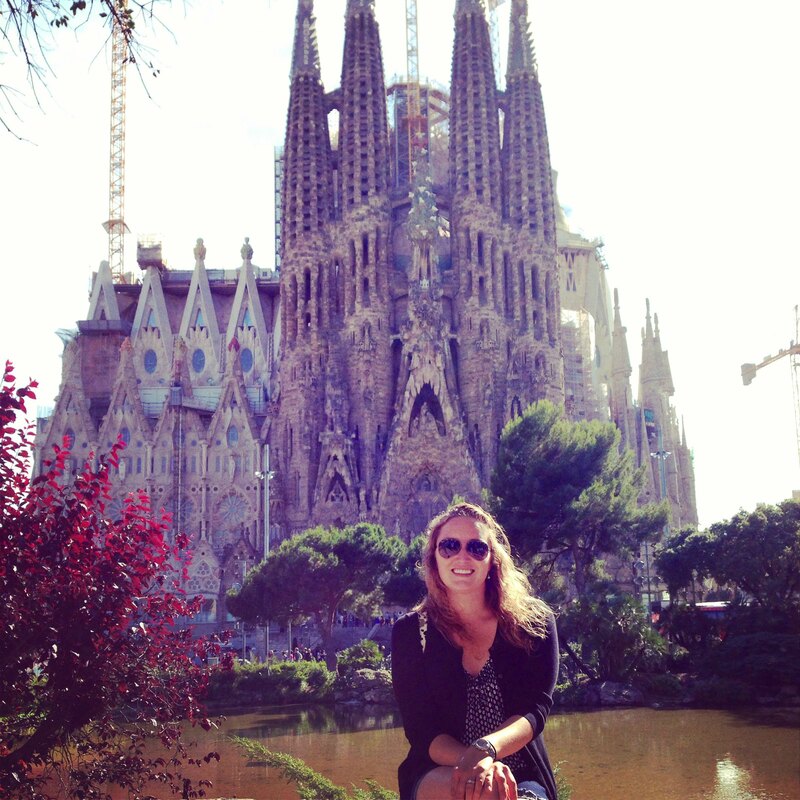 I absolutely love Barcelona! Glad you are having a good time. Thank you! This was my first time to Barcelona and it’s absolutely beautiful. What a great city – so full of life!